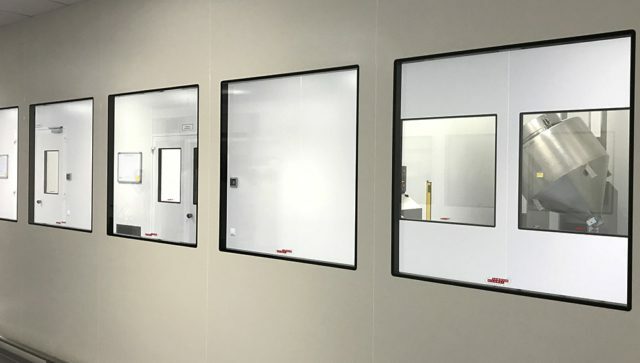 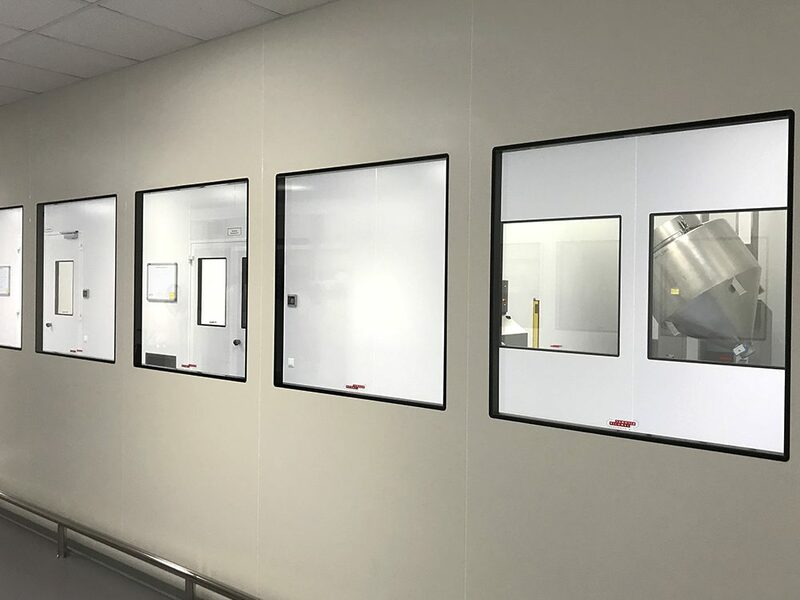 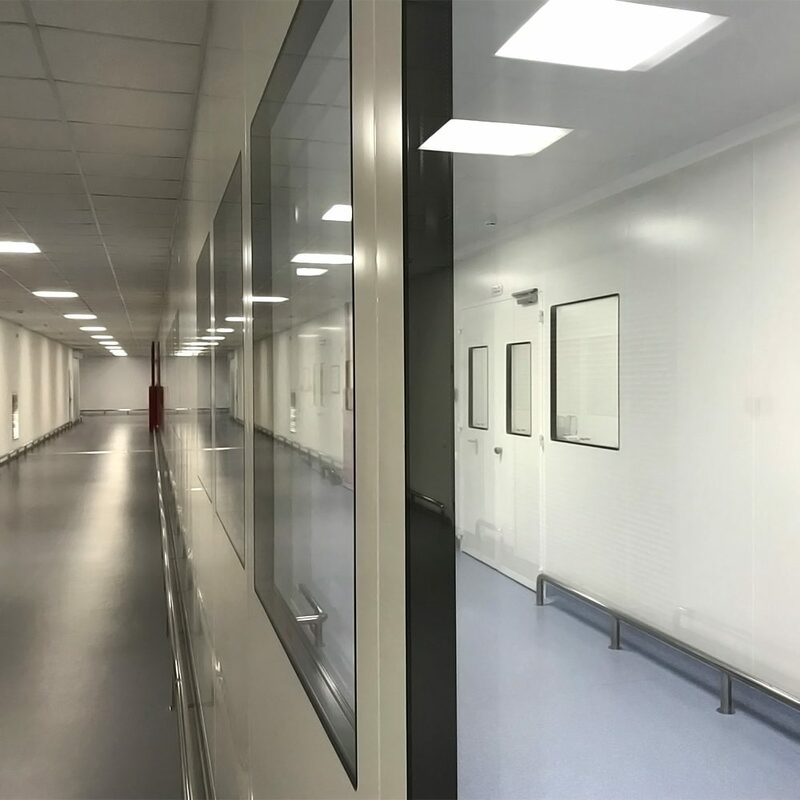 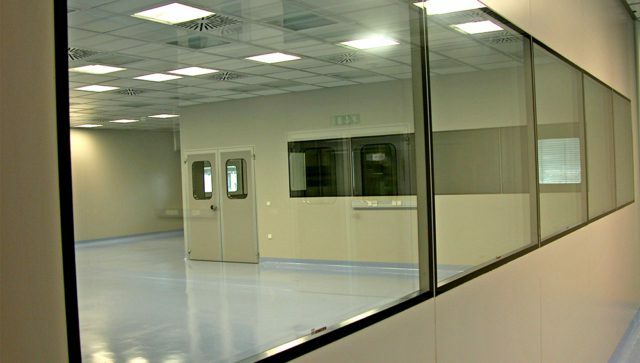 All window units for Nicomac modular cleanroom system are double glazed, and fit flush with both surfaces of the wall panel system. 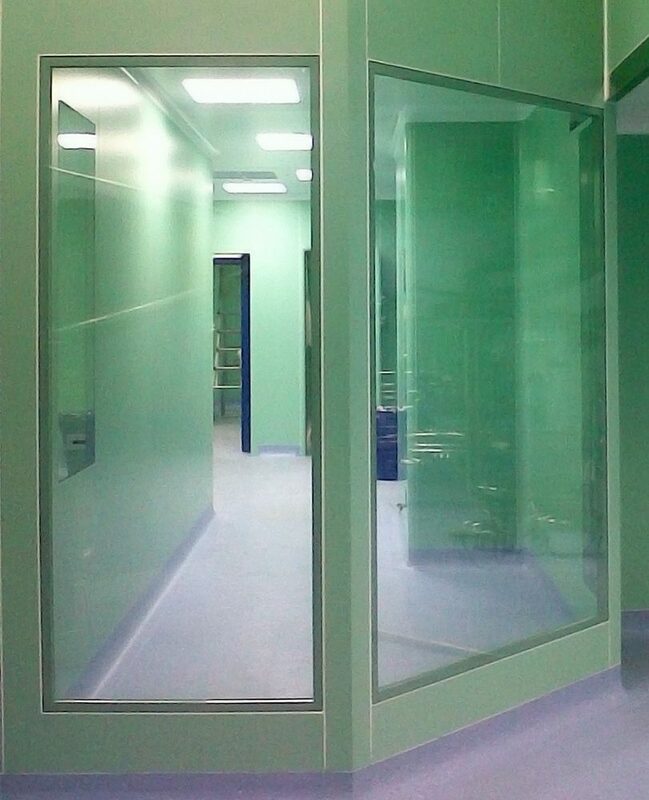 Each unit is constructed of two panels of 3+3 mm double layered and laminated safety glass. 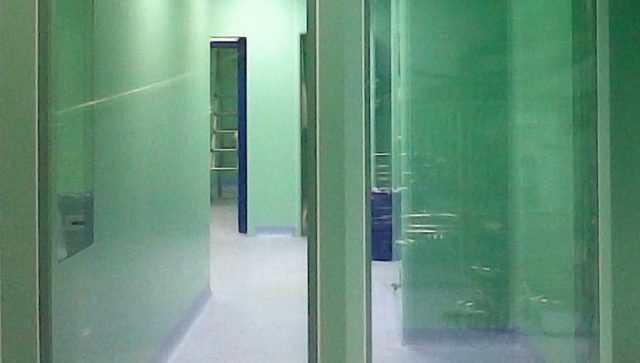 Each panel includes a layer of PVB (polyvinyl butyral) film laminated between two layers of glass. 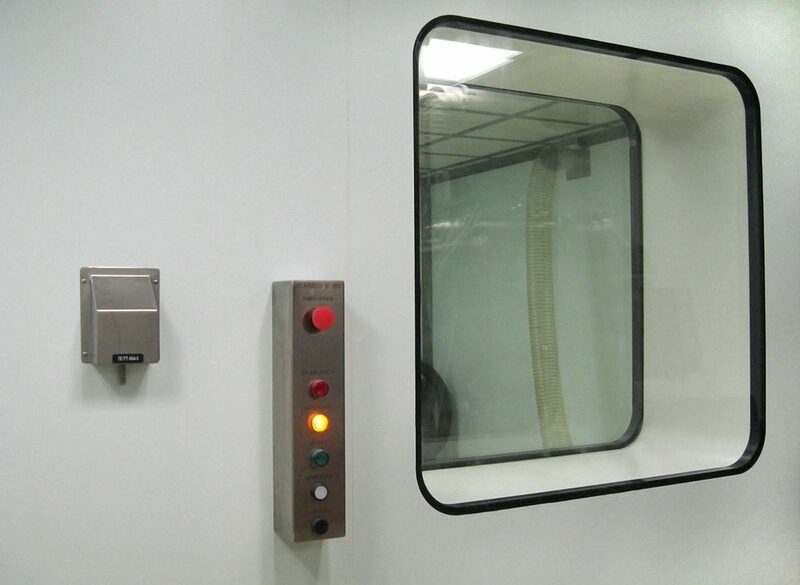 It is completely silicone sealed and includes a micro-perforation profile with an integral silica gel moisture condense absorption system. 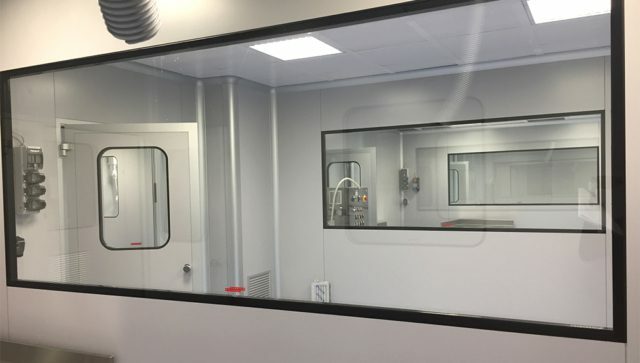 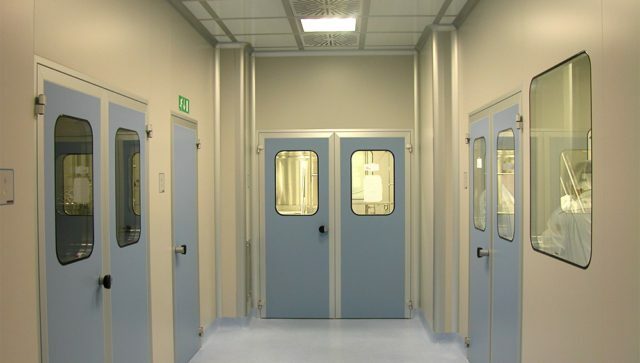 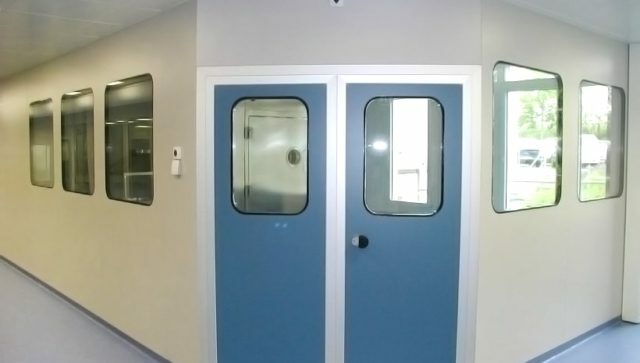 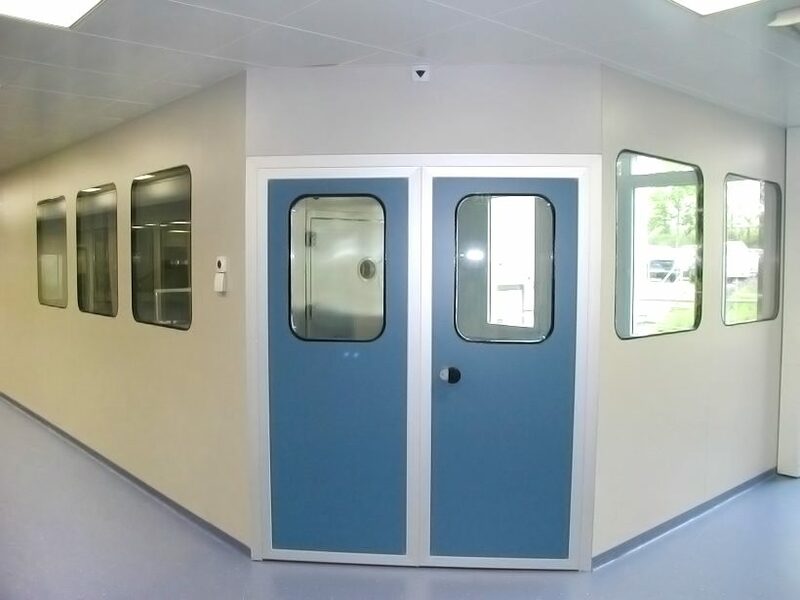 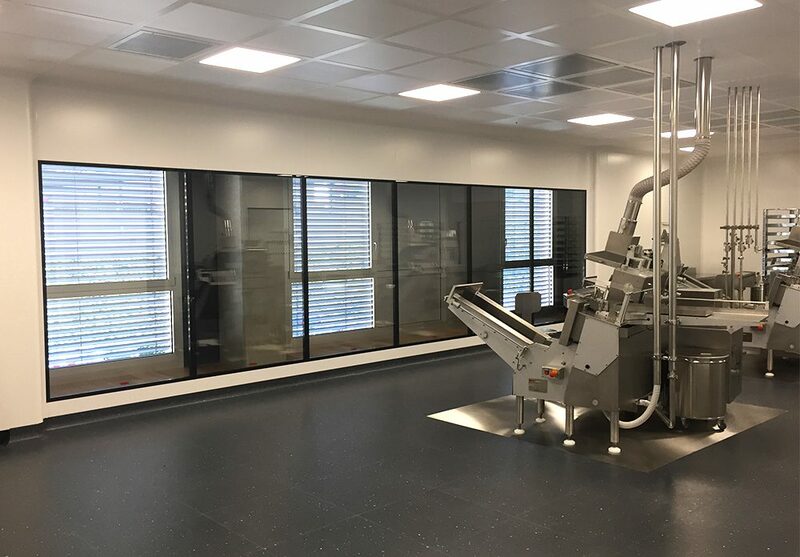 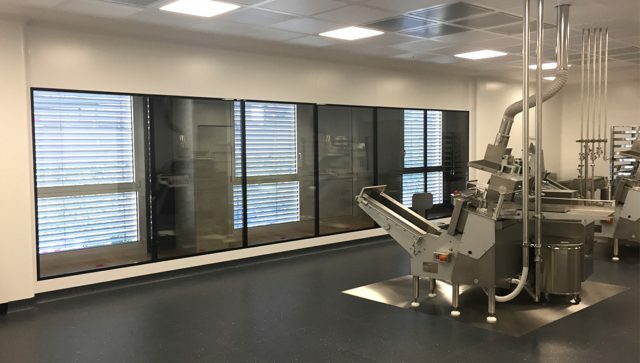 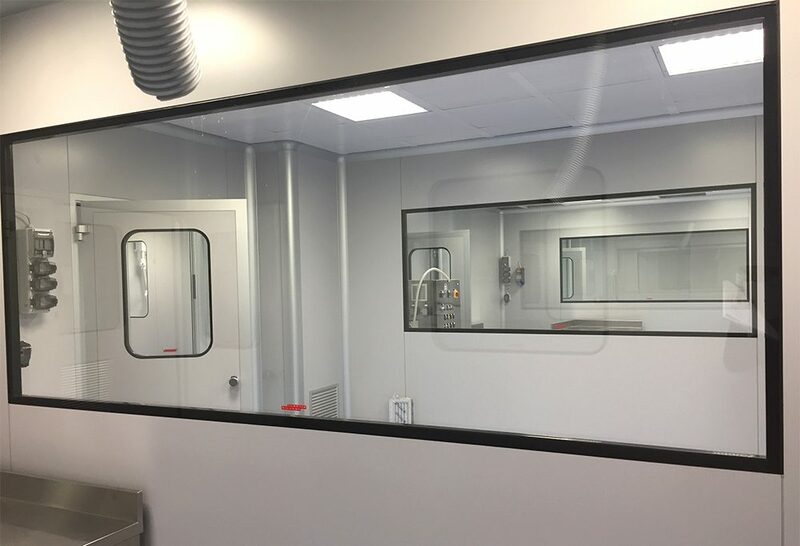 The window system is especially designed for the cleaning needs of the pharmaceutical cleanroom. 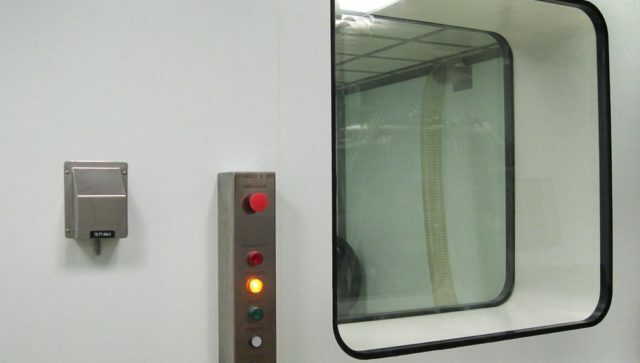 Designed to eliminate fogging. 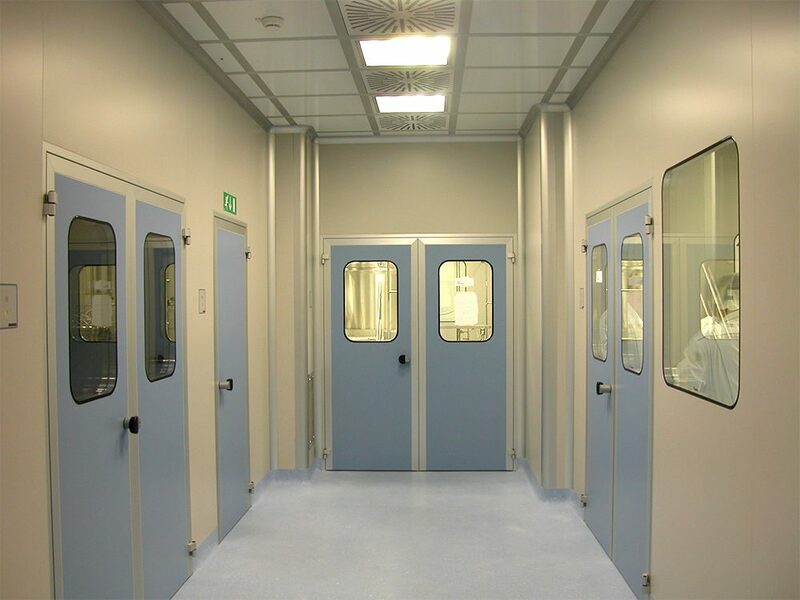 Rounded or square corners add to the strength of the cleanroom window unit and enhance their appearance. 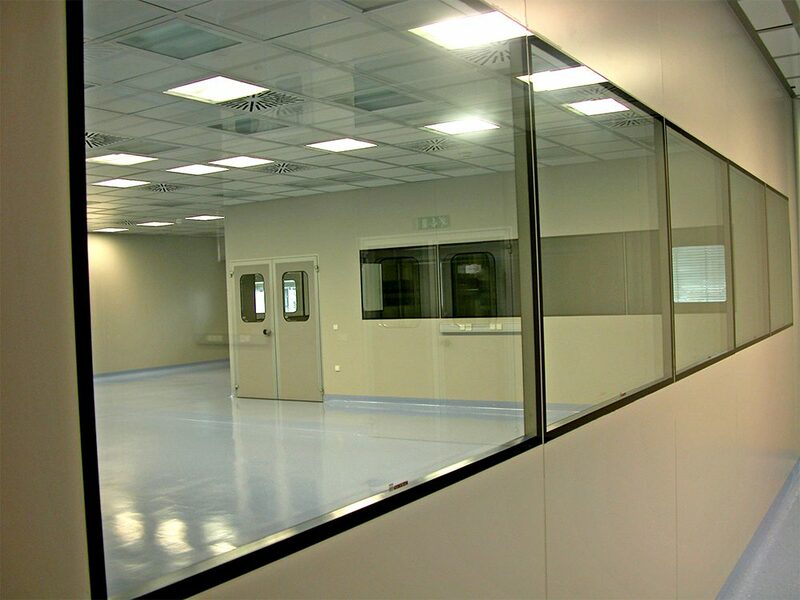 Nicomac windows can be installed in existing clean rooms.